The government describes the Islamist JEM as the military wing of the PCP, but so far JEM has proved less militarily effective than the SLA. The movement is led by Dr. Khalil Ibrahim Muhammad, a Turabi loyalist and author of The Black Book: Imbalance of Power and Wealth in the Sudan, an outlawed manifesto that claims the Nile-based Arabs have dominated the government since independence at the expense of the majority of Sudanese. JEM units cooperated with SLA forces in the opening phase of the rebellion in February 2003. For a time the government tried to negotiate a separate agreement with the SLA, but the SLA demanded that both parties be part of the peace process. 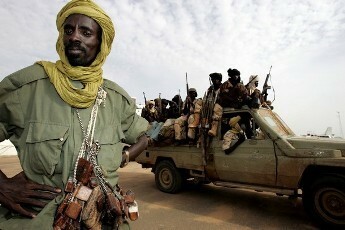 Like the SLA, JEM finds many eager recruits in the refugee camps of Chad. Like the Janjawid, JEM also draws recruits from the Fellata population, which was not granted citizenship until 1989 under an al-Turabi initiative. 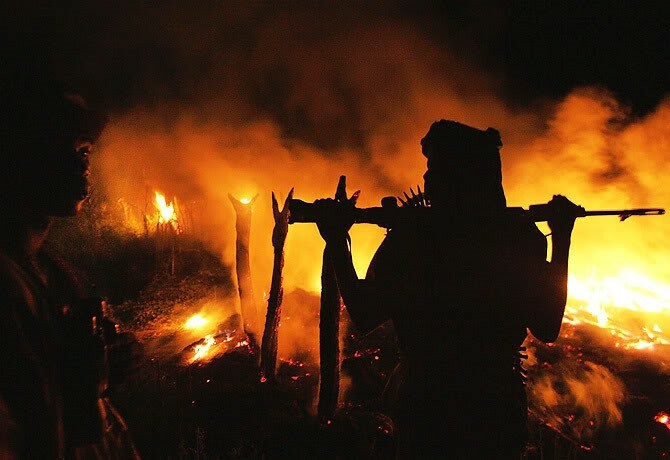 Islamism has a small but fervent constituency of recent vintage in Darfur. Islam as practiced in Darfur is highly different from the Islamist orthodoxy of Khartoum, incorporating many traditional customs and beliefs. It is unlikely that all of JEM’s guerrillas back the Islamist project, but may have found in the organization the means to obtain the weapons and vehicles needed to take revenge for the loss of farms and families. Most of the JEM funding is believed to come through Turabi’s organization. In early May, both the JEM and the SLA appealed to Muammar Qaddafi for funds and political support. Of late Qaddafi has abandoned Arabism for the cause of African unity and identity. Sudanese Peoples Liberation Army, a South Sudanese rebel force commanded by John Garang, not to be confused with the SLA of Darfur.